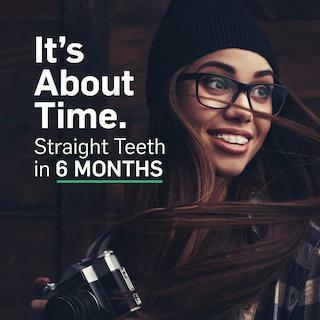 You shouldn't have to wait 2 years for straight teeth. With us you won't. Six Month Smiles is a clear braces system designed to straighten your teeth in about 6 months - right in our office! We use clear braces and tooth-colored wires to discreetly move your teeth into alignment so you can smile confidently!